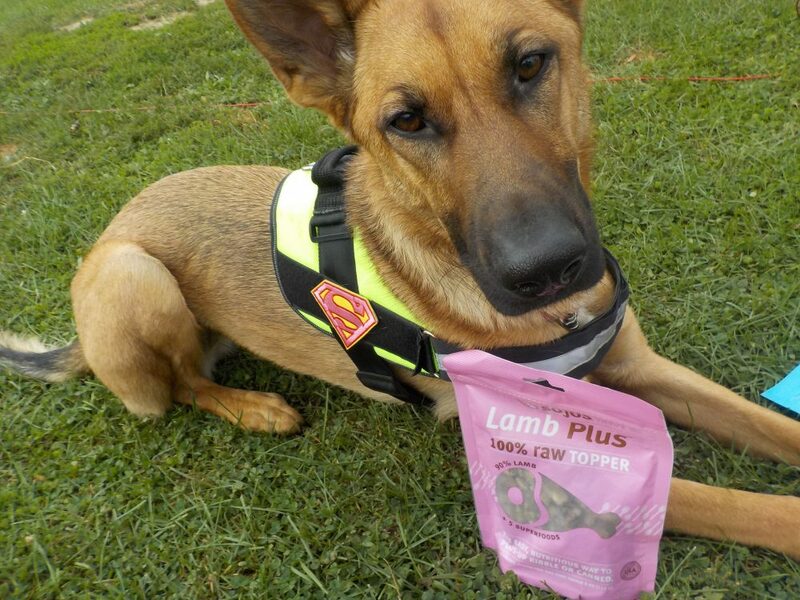 Have You Been Looking to Switch Your Dog to Raw Food? Shortly after we got our German Shepherd pup, I made the decision to switch her to a raw diet. (We leave dog food down at all times though in case she or her fur sister feel “snacky.”) However, a raw diet can get expensive, and it takes time. Then I discovered Sojos. Now I’m not spending an arm and a leg, and I’m not constantly cooking for my dogs. If so, then look no further than Sojos. It’s easy, affordable, and your dogs will love it. 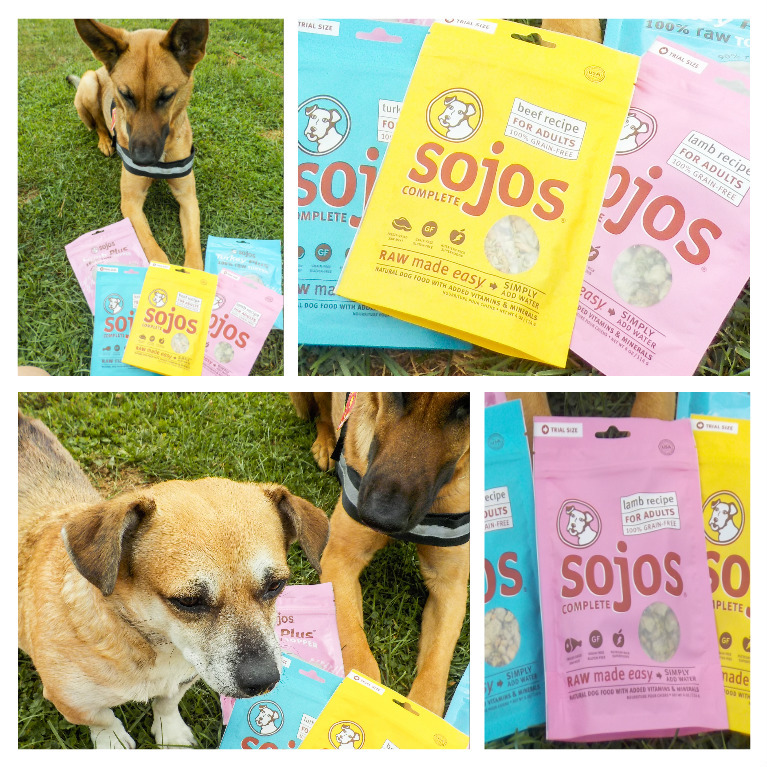 Sojos is raw diet for your dogs, but it’s freeze-dried, so it’s shelf stable. Instead of having to cook up “people” food for your dog, you simply measure out their Sojos, add the required water, and in fifteen minutes, they have a bowl full of healthy, REAL food! You’ll need to slowly add Sojos to their diet, to avoid upsetting their tummies. Like all new foods, it needs to be introduced in stages. To switch your fur babies from kibble to Sojos is easy. On the first and second day, you should give them their regular dog food, minus 25%. That 25% will be replaced with Sojos. On days three and four, up the Sojos to 50%. Days five and six will be 75% Sojos, and day seven, they can have one hundred percent of Sojos for their meal. 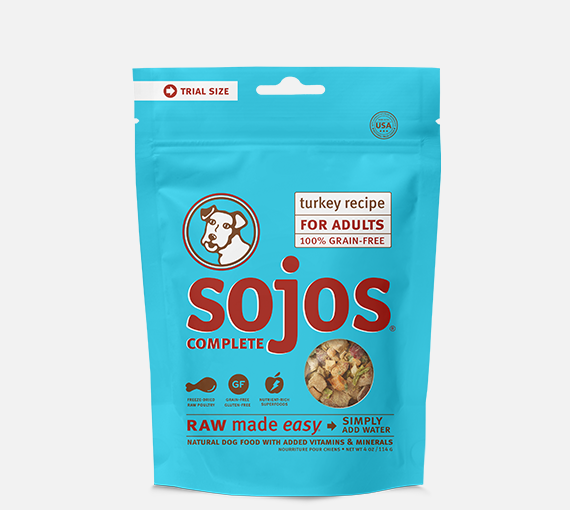 If you’re not quite ready to take the raw diet leap, or if you just want to spice up your dog’s dry or canned food, Sojos Raw Toppers are perfect. You just pour it on their food, stir it in, and watch them chow down! I started with their Food Toppers and my girls went wild for it! I love it, they love it! When I first put Bayleigh on a raw diet, it felt like I was cooking for her, more than I was for us. Then I discovered Sojos. Feeding her a raw diet has become so easy, and it takes up very little of my time (which makes me love it). She loves it, as does her fur sissy Josie. To learn more and get your fur babies Sojos, click here. Be sure to follow via Facebook, Twitter, and Instagram. I’ve fed Sojos before and it’s definitely a good alternative to fresh raw food.